I'm trying to get back into the swing of things in 2018--work on my animation skills, work on my public speaking skills, spread the good word about the history of women animators, stuff like that. And where better to do that than at anime cons! It started this month with Alma Con up in Alma, Michigan. Well, this con was both good and bad for my purposes. I had a turnout of nine people at my presentation. Pretty close to the threshold for a smaller anime con, I usually expect between ten and twenty people at a smaller con. Four guys, five girls. And everyone was pretty engaged, though the girls were a little too giggly for my tastes, but hey, everyone was interested in the subject matter so I took it as a win. The weather that weekend was poor, I presented my "Game Show" on a Friday night, and they didn't print the description of my panel in the program booklet due to a printing error (quietly bangs head against wall). So, personally, I think that I might have had a bigger turnout if the weather and lack of booklet quality control hadn't been working against me, but fact is: even if one person showed up, I still would've run the panel. 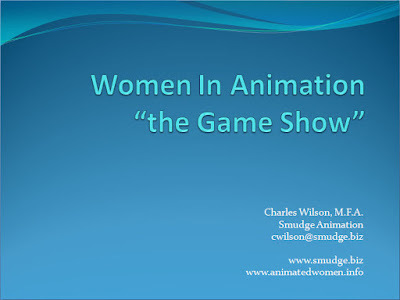 And everyone had fun learning about women animators, so I'm counting this presentation in the "win" column! 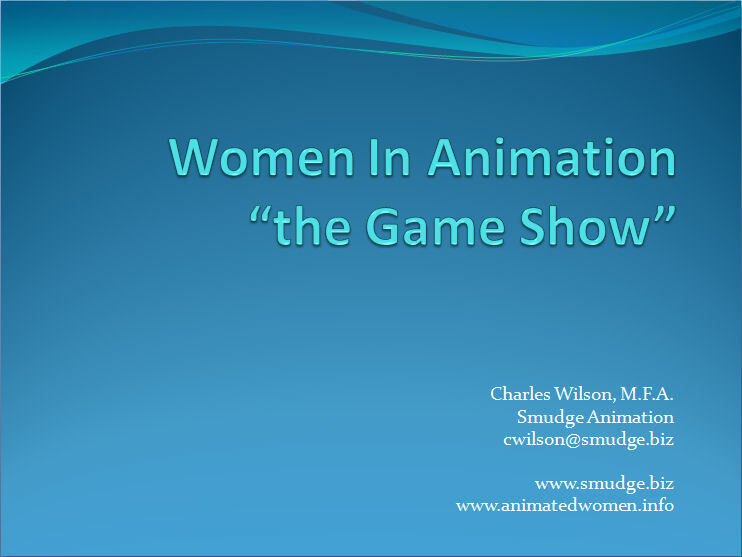 My next two presentations will be on March 25th at Shuto Con in Lansing and again a week later in Grand Rapids for ASIFA Central's "Celebration of Women Animators" on March 31st. The Academy of Motion Picture Arts and Sciences has released the nominations for the 90th Annual Academy Awards and as per tradition, the Detroit Institute of Arts' Detroit Film Theater will be showing their annual shorts nominee program in February and March. For those interested in the results, the Academy Awards will be broadcast on Sunday, March 4, 2018. And you can buy tickets from either the box office or online on the DFT's website. Congratulations to all the nominees and to all the filmmakers who submitted their films for consideration. 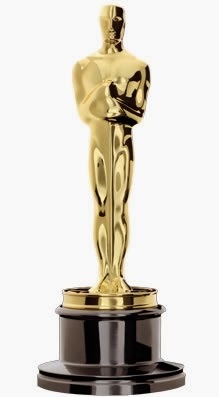 * The Academy Awards and the Oscar are registered trademarks of the Academy of Motion Picture Arts and Sciences. Loved the vintage drive-in theater intermission animations that they played while waiting for the ceremony to start. A lot of them had this nice UPA feeling to them. Should prepare a short 'thank you' script ahead of time, folks. Glenn and Kobe really handled it well though. Very happy to see Samurai Jack getting some love! Very touching video showcasing memories of June Foray. They found a UPA print that was never released? Wow!! When do we get to see it? 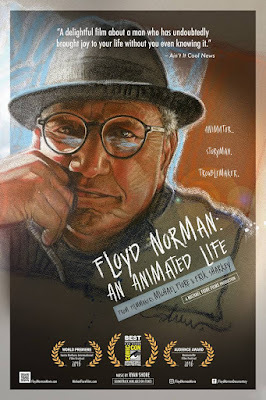 Putting the student films Cradle, Elsewhere, and Once a hero on my list of films to track down. Very, very happy to see Samurai Jack getting some love at the Annies. Glad to see Studio MDHR Entertainment get recognized with a special achievement award for their use of traditional 2d animation in their game Cuphead. Lots of lovely animation work being produced using TV Paint. Studio MDHR got the Character Animation in a Video Game award for Cuphead and it was very well deserved. I can't wait to see the Big Bad Fox & Other Tales. I also can't help but think that if the Waterloo Festival for Animated Cinema was still around, I would've seen it already. Very, very, VERY happy to see Samurai Jack getting some love! It's long overdue. Wendy Tilby and Amanda Forbis win the Winsor McCay Award, another well deserved award. Wow!!! Rick and Morty won for Writing in an Animated Television/Broadcast Production for that awesome Ricklantis episode. Congrats to Ryan Ridley and Dan Guterman. Y'know, every time I see anything from We Bare Bears, it makes me wish I had Cartoon Network on my basic cable package. Did they just give away the winner of the Best Animated Feature - Independent before showing the clips? This Saturday, February 3rd at 7 p.m. PST (10 p.m. EST), ASIFA Hollywood will be streaming the annual Annie Awards, a celebration of the best our industry has to offer. You can watch the 45th Annie Awards ceremony live right 'here' on the Annie Awards website. "It's great to work with this cool technology, but you have to serve the story. It’s the content. That's what the audience responds to. Ultimately, if the story doesn't work and it's not compelling, the technology isn’t going to save you."